Bored of the same old beach holidays and tourist traps? Find yourself doing the same old things over and over when you go on vacation? If so, it’s time to mix it up a little. Why not set yourself some goals and challenges, push yourself out of your comfort zone and do something new? Here are a few ideas to get you started. Working abroad enables you to experience a place in the world in a new way. You still get to find out about the culture, the food and the people, but you’re not there to relax like on a holiday. If you’re early on in life and know you’d like to do a lot of travelling, it’s worth choosing a career which enables you to go to different places in the world. Take nursing for example, as a nurse you can gain Visas to countries like Australia, the UK and the US which are usually difficult to gain entry into for work. You can take courses like online MSN leadership to get your foot onto the ladder or to gain more skills in your area which make you even more employable. Have a think about the kinds of countries you’d like to work in, and what sort of job you’d need to do for this to work. If you want to genuinely do good in the world while experiencing a new place, gain skills and life experience and even give your CV a boost then volunteering abroad is a fantastic choice. You don’t always need special skills or experience, there are parts of the world where just giving your time can help out in a big way. It could be teaching basic numeracy and literacy skills to children, it could be helping to paint or erect buildings, it could be working on farming or conservation projects. Lots of volunteering projects offer free accommodation in return for your time, so it’s something you can do on a tight budget. Again, you won’t be enjoying five star hotels, luxury meals or going to tourist attractions, but the experience you gain can be incredible. You get to speak to people you never would have met any other way, and find out what life is really like in a place in the world. Best of all, when you return home you’ll know you made a difference and will maybe appreciate your own life a little more. Going on a solo trip can teach you so much about yourself. It can give you confidence and help you gain independence. It can let you find out who you really are- where will you go and what will you get up to when you have no one else to answer too? Travelling alone can be really empowering, and it’s not like you have to be lonely. It’s a chance to meet new people, you could even join forces with other solo travellers if you’re worried about safety. If you want to travel but no one in your life can dedicate the time or money to it then don’t just give up on the idea. Decide on a place you’d really like to go to, and plan your dream trip. Go where you want, eat what you want, visit the places that most interest you. It’s an incredible way to go and see a new place in the world, and once you’ve done that it can really leave you feeling like you can really do anything. A road trip is a wonderful way to see a place, be sure to take pretty back routes and the scenic way instead of sticking to motorways and freeways. The wind in your hair and the sun on your face can make you feel so free, and you can visit whatever tourist attractions, natural wonders and other places of interest as you go. You could hire a cool car to drive and stop off at hotels and motels along the way, or you could go with an RV or campervan giving you accommodation and transport in one. Some parts of the world are just perfect for road tripping, so if you’re getting fed up of the same old vacations then this is something to consider! A cruise gives you all the relaxation and luxury of the ship with stop offs at different locations where you can explore and have fun. World cruises are the ultimate here, it’s not uncommon for a year long world cruise to cost in excess of 20k, but what a way to spend a year it would be. 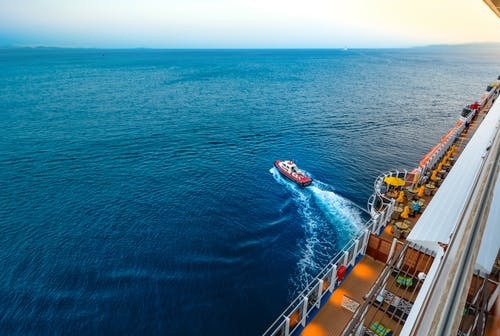 If you’re not at that stage yet, a shorter and less expensive cruise could be the way to go. If you want to visit a number of destinations on one trip then cruises are brilliant. If you want to do something different still, river cruises can be booked in many places across the world, and sail using rivers and sometimes canals rather than the ocean. If you want to travel but are held back by money then consider going backpacking. If you pack a tent or use a chain of travel hostels it can be done very cheaply. This is more ‘real’ travel rather than just a vacation, but it’s just as enjoyable (often even more so!) even if you’re not living the life of luxury but you get to see a place in a completely different way. Stripping it back to basics can be really humbling, and again it’s a chance to have new experiences and do different things than you might have tried before.